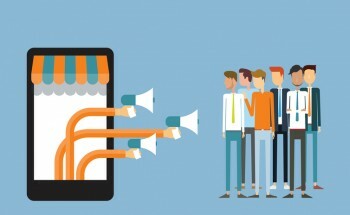 Remarketing is the practice of targeting ads towards people who already visited your web site or even a specific page but did not end up being converted. Video remarketing is, as the name implies, when these efforts take the form of video ad campaigns. These techniques are particularly useful in situations where the conversion process takes time or is highly competitive, since these are scenarios where the click-through rate alone is not enough to ensure a good chance of a customer converting before leaving your page. Google AdWords allows you to create various video remarketing lists using different types of criteria. This offers the freedom to be as broad or narrow in your ads as you wish. However, given that you are trying to improve conversion rates among visitors to specific pages, it will naturally help to take that into account when planning your ads. Keep in mind that setting up video remarketing requires YouTube videos, so you will have to upload your ad to your business’s YouTube channel or otherwise have access to the URL. Incidentally, remarketing is sometimes referred to as “retargeting,” and the two terms are interchangeable. A video retargeting platform is the same thing as a video remarketing platform, a YouTube retargeting strategy is the same as a YouTube remarketing strategy, and so on. For consistency’s sake, we will be sticking to “remarketing” as our term of choice. As with any other form of advertising, video remarketing has trends based on how customers internalize and respond to video branding efforts. Most of these trends and tips can apply to regular video ads as well, so consider them a double dose of advice. Keeping your video less than 30 seconds long has several advantages. First, it forces you to be focused on your message—get to the point quickly and concisely. Second, longer ads tend to lose a lot of audience attention after the 30-second mark anyway, so keeping things short lets you take advantage of the viewer’s full attention span. Third, some people simply will not watch a video if they see that it is longer than they wish to deal with. Staying on the shorter side means you can attract more eyes overall. Video personalization can seem tricky in ads that are meant to go out to wide swaths of people, but remember that remarketing means you should already know what pages on your site the viewer has previously seen. Take advantage of this knowledge to tailor the content of your ad. For instance, if you find that audiences who view your page have similar follow-up questions, try and address them in the video. This is surprisingly easy to overlook, but you really need to include a link in the video description that can bring audiences back to your main site or even a specific page in the conversion process. Some companies make parts of the video into links that can be clicked on to go to certain pages, such as clicking on a person’s clothes to go to the outfit’s product page. While you can use this approach for some added oomph, don’t neglect your video description either. For any business looking to improve their online profile and remarketing efforts, we are just a call away at 1-855-SEO-XPRT. You can also get a free site analysis and quote here.